One-pot dinners! Because who wants to wash a bunch of pots and pans? 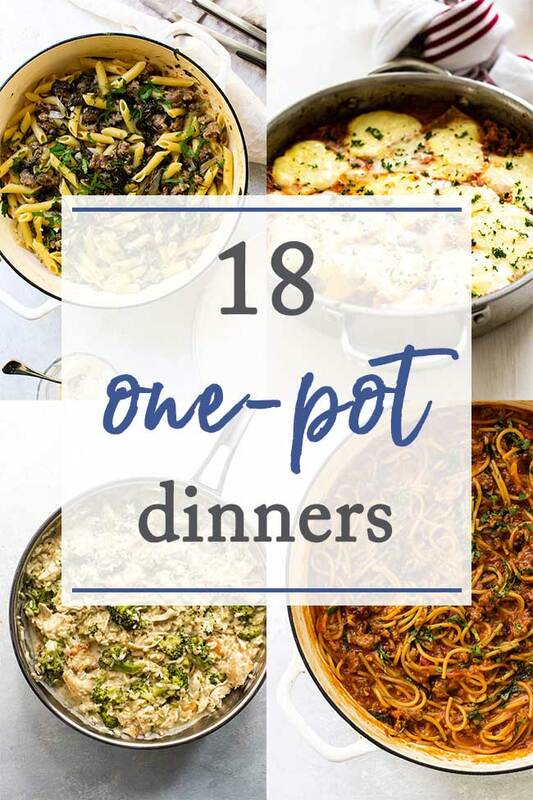 I’m guessing most of us would rather do something else after dinner, so I’ve rounded up 18 different one-pot meals – everything from easy weeknight dinners to guest-worthy dishes – that won’t leave you with a pile dishes in the sink. Take a browse and I hope you find something new to try! Whether you’re craving a hearty pasta, a cozy slow-cooked dish or quick and easy dinners made with chicken, beef, or seafood these one-pot dinners are all about making life easier in the kitchen. Click on the photos or recipe titles to get the recipes for these all of these one-pot meals! CREAMY ONE-PAN CHICKEN AND RICE – Girl Gone Gourmet | An old favorite gets a few upgrades! 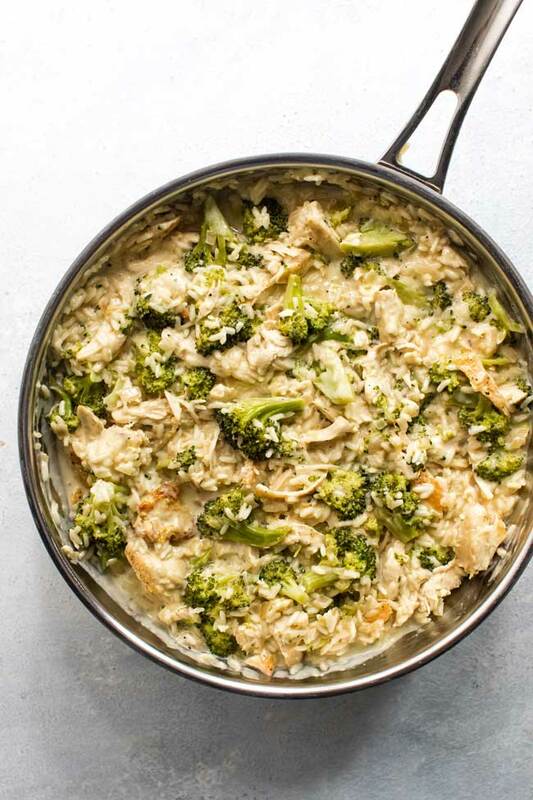 This chicken and rice dish has a creamy Gruyere cheese sauce and fresh broccoli and all of it cooks up in just one pan on the stovetop. It’s a hearty and comforting dinner for a chilly night. 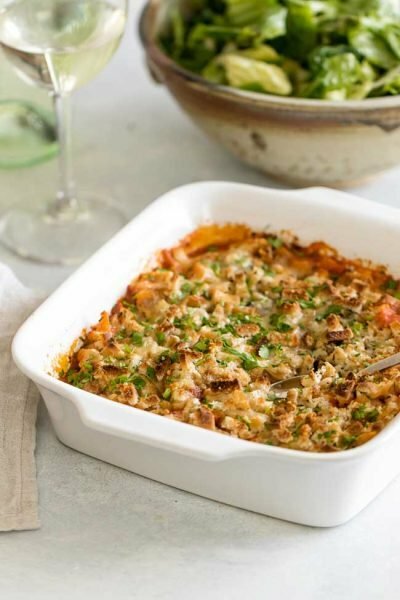 SKILLET CHICKEN LASAGNA – Girl Gone Gourmet | I love a traditional lasagna, but the work required can be a drag so here’s a lasagna recipe that comes together in one skillet. 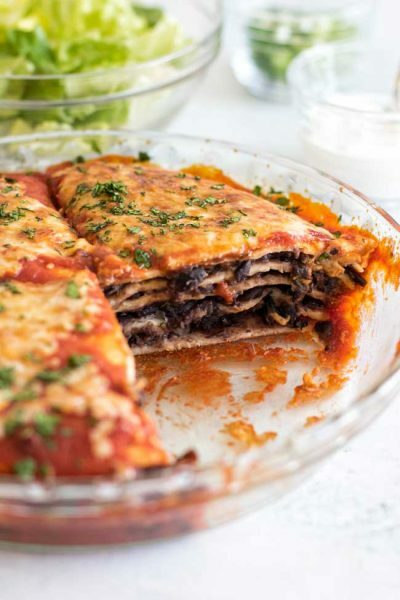 Just like traditional lasagna without the hassle. 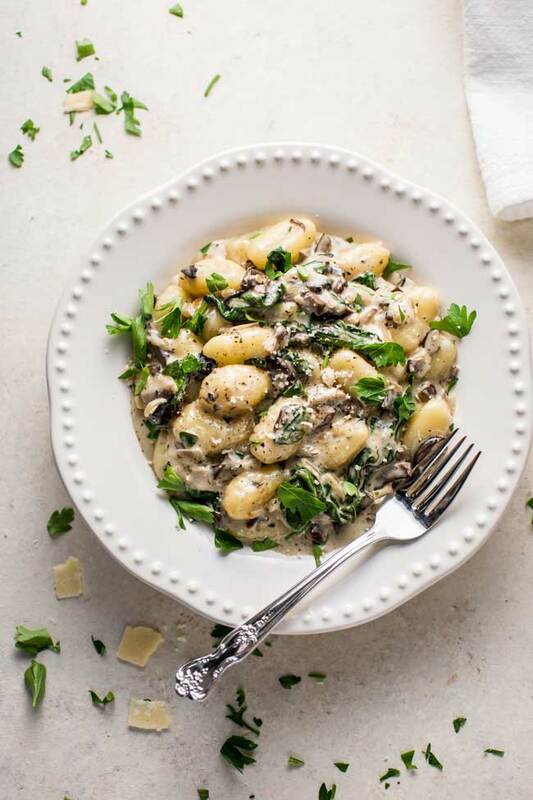 CREAMY MUSHROOM AND SPINACH GNOCCHI – Salt and Lavender | Not only is this a one-skillet creamy gnocchi dish, but it only takes 30 minutes – double win! 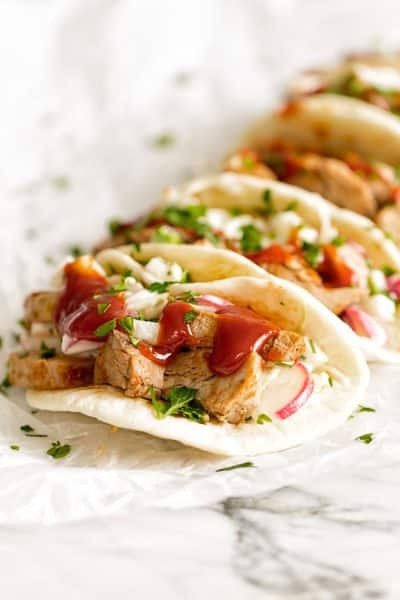 I love easy recipes like this one that looks like something you might order in a restaurant, but you don’t have to go anywhere. You can make this right at home. GREEK MEATBALLS WITH LEMON DILL RICE – Dinner at the Zoo | So many great flavors! 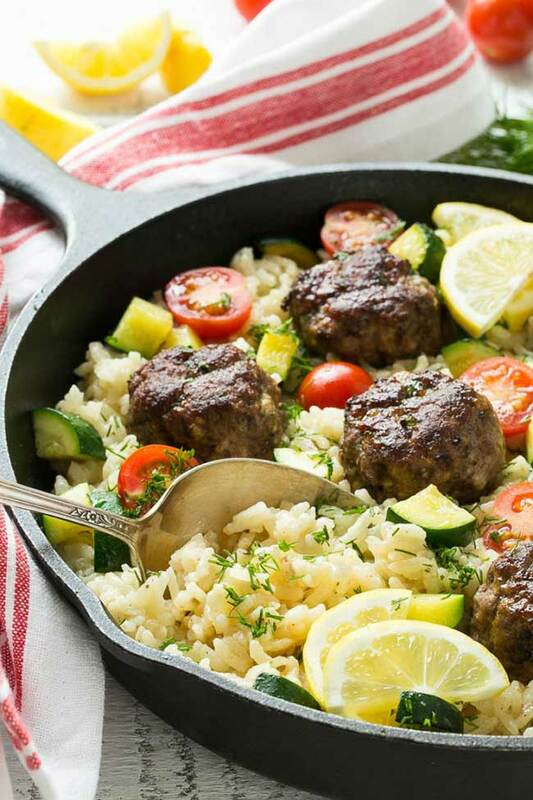 These savory Greek-spiced meatballs nestled in creamy lemon dill rice look like a delicious weeknight dinner. 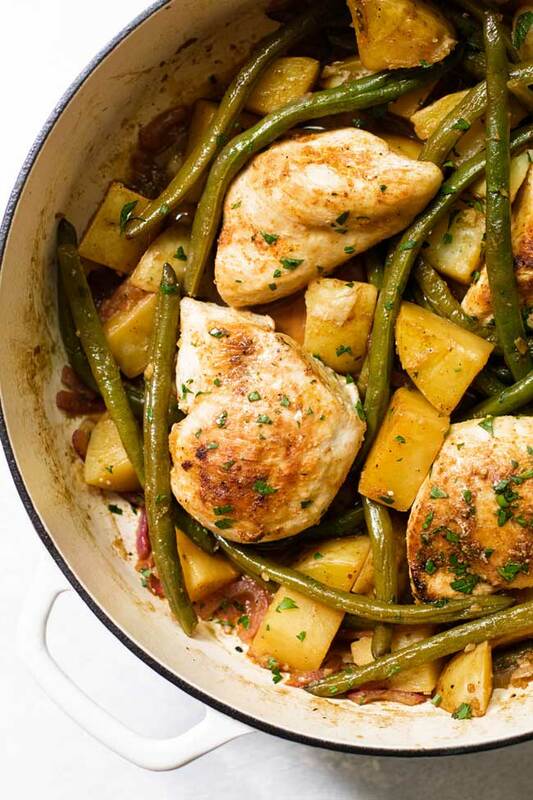 CHICKEN WITH LEMON-GARLIC GREEN BEANS AND POTATOES – Girl Gone Gourmet | Light and packed with veggies this chicken with lemon-garlic green beans and potatoes is an easy one-pan recipe. 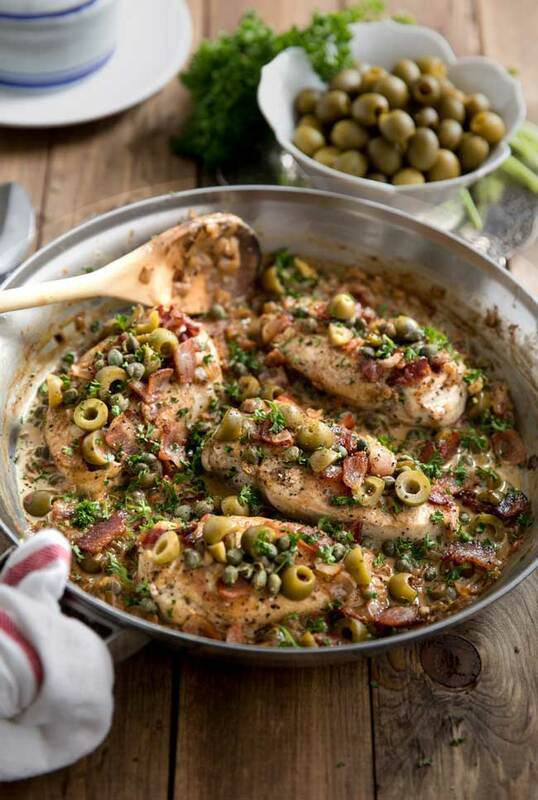 SKILLET CHICKEN WITH BACON, CAPER, AND OLIVE SAUCE – Coffee and Crayons | Not your average (aka boring) chicken dinner! 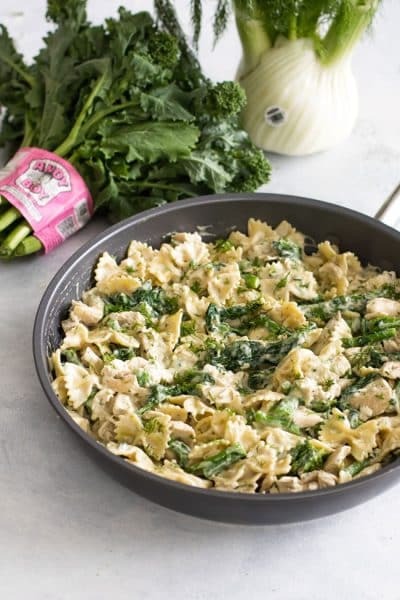 This skillet chicken (inspired by the blogger’s child!) has a wonderful combination of flavors – I imagine the smoky rich bacon plays well off the briny capers and olives – and is begging for a side of crusty bread to soak up all the sauce. 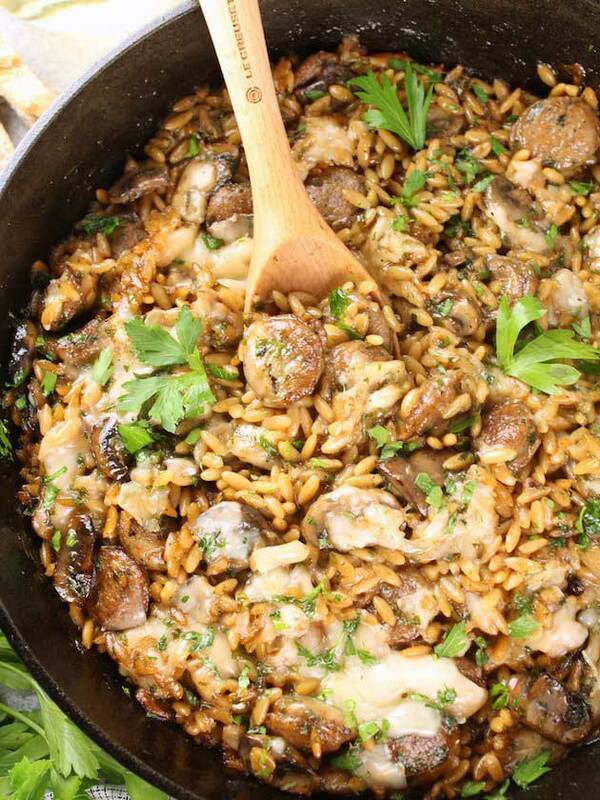 MARSALA CHICKEN ORZO SKILLET – Taste and See | Another chicken dinner idea – classic marsala chicken cooked in a single skillet with orzo. Looks delicious! HEALTHY ONE POT ENCHILADA PASTA – Peas and Crayons | Is your Taco Tuesday fare getting a little tired? 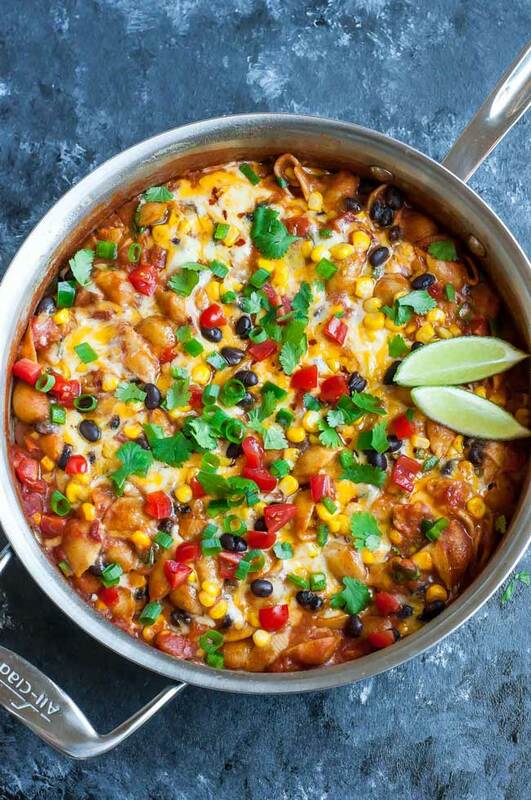 This healthy enchilada pasta is a fun twist on a classic and is packed full of veggies and black beans. 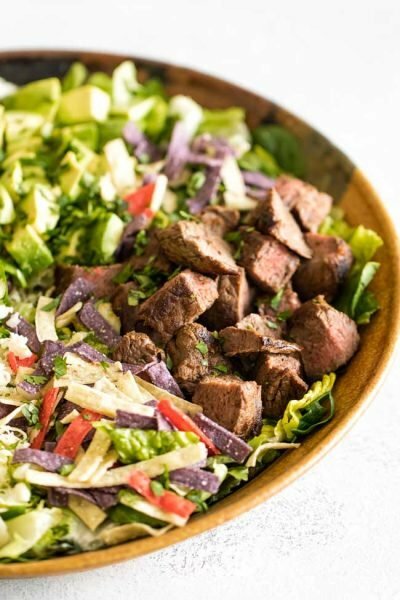 Serve with all your favorite toppings like sour cream, fresh cilantro, and cheese. 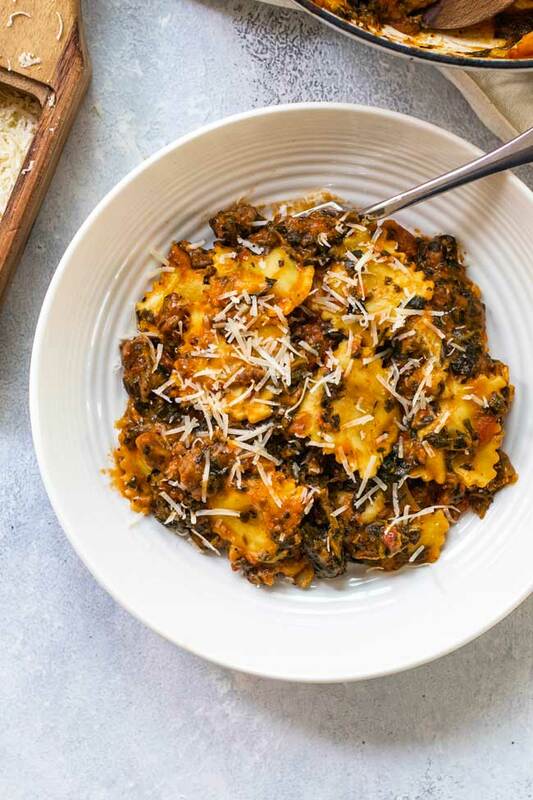 BAKED RAVIOLI WITH SPINACH ROSA SAUCE – Girl Gone Gourmet | The best weeknight dinners are ones that are low-maintenance yet look and taste like you cooked all day. 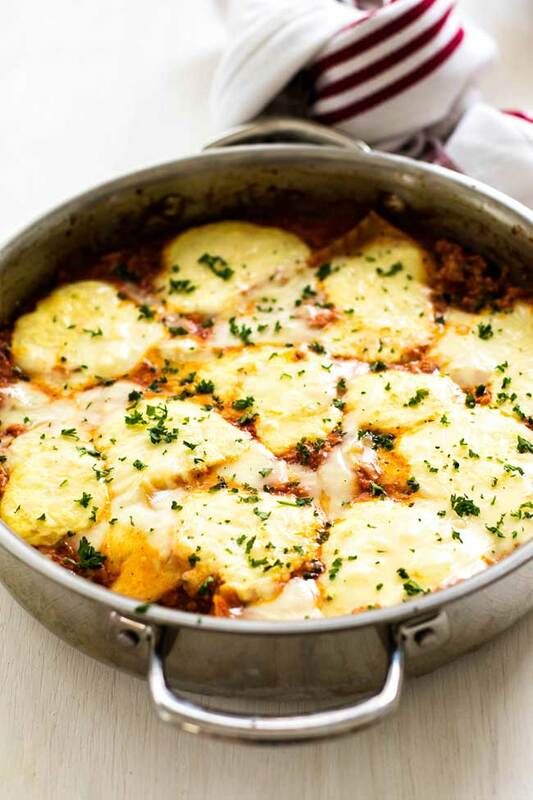 A few smart short-cuts make this baked ravioli so easy to pull together – it goes from stove top to oven in just one pan and requires very little prep work. It’s definitely a weeknight dinner win. 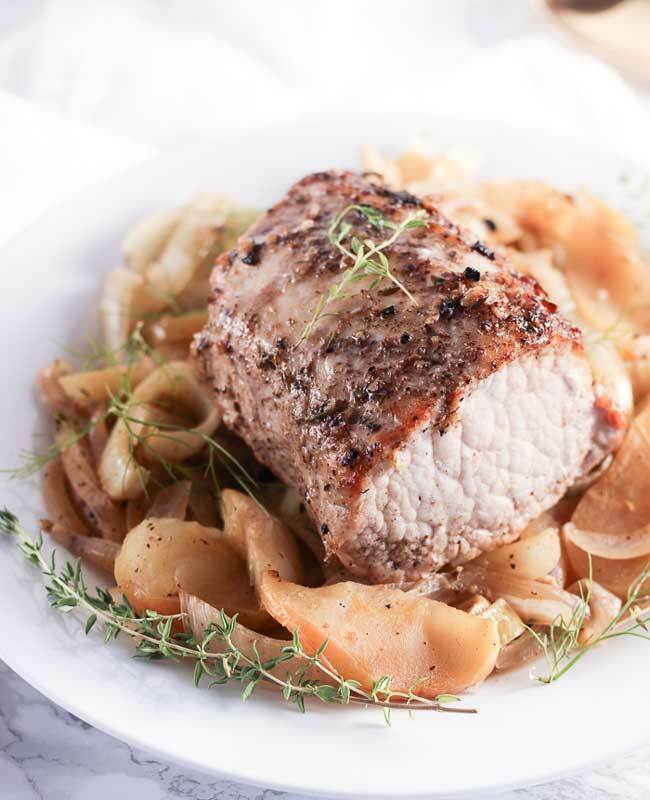 PORK LOIN WITH BRAISED APPLES, FENNEL, AND ONIONS – Lively Table | Apples and pork are a classic combo and this one-pot dinner looks like a cozy dinner for a chilly night. 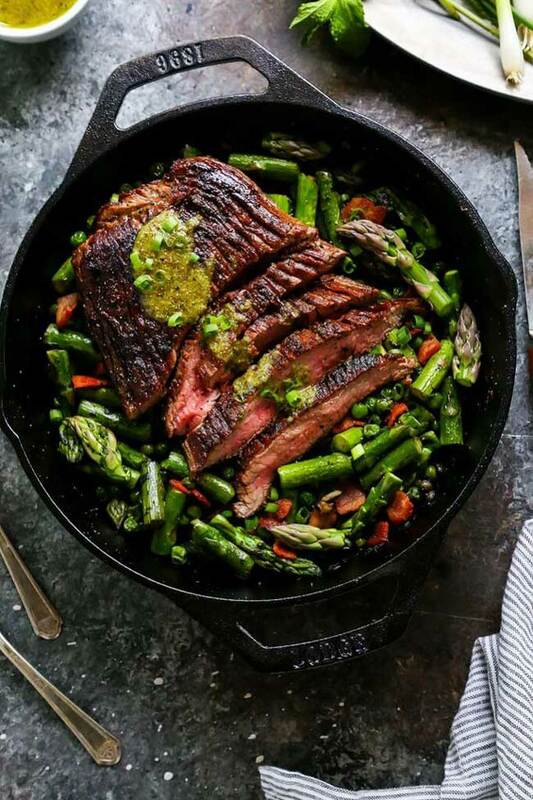 ONE SKILLET STEAK AND SPRING VEGETABLES – Platings and Pairings | Juicy flank steak, fresh spring vegetables and a bright mustard mint sauce – this easy skillet dinner is easy enough for a weeknight and totally guest-worthy, too. 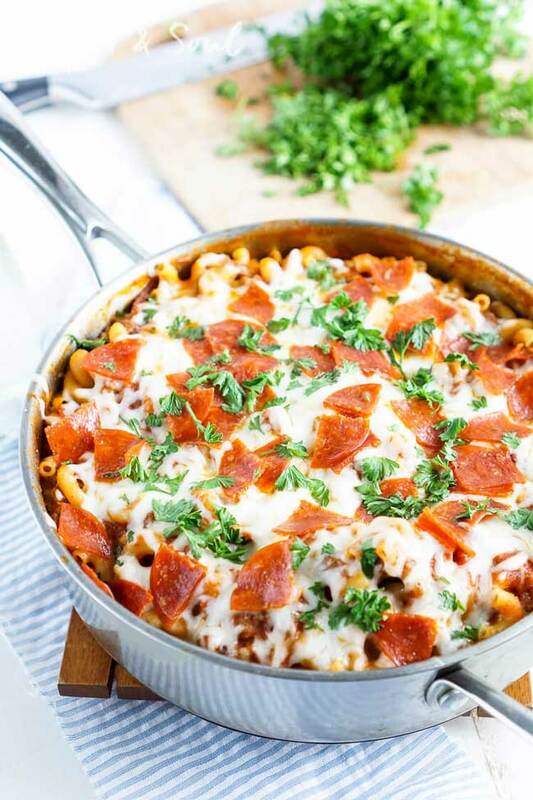 PIZZA PASTA – Sugar and Soul | For a long time, we only had oven-ready lasagna noodles – you know, the kind you don’t have to boil before assembling a baked pasta dish. Now, there are all sorts of pasta shapes that don’t need to boil on their own, which means you can cook the pasta along with everything else in one pan. This recipe uses no-boil macaroni for a fun twist on pizza that’s done in less than 30 minutes. 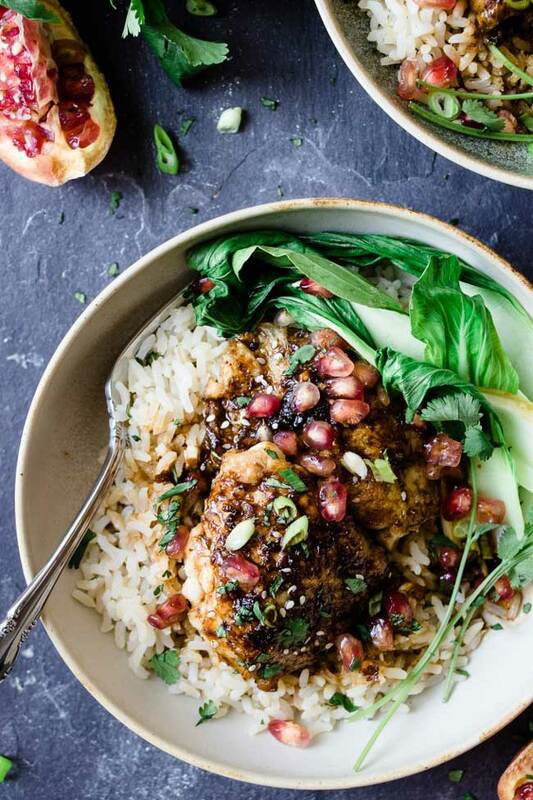 STICKY ASIAN POMEGRANATE CHICKEN – Salted Mint | Chicken dressed up in a sauce made with pomegranate and fresh ginger with steamed bok choy on the side – looks amazing! 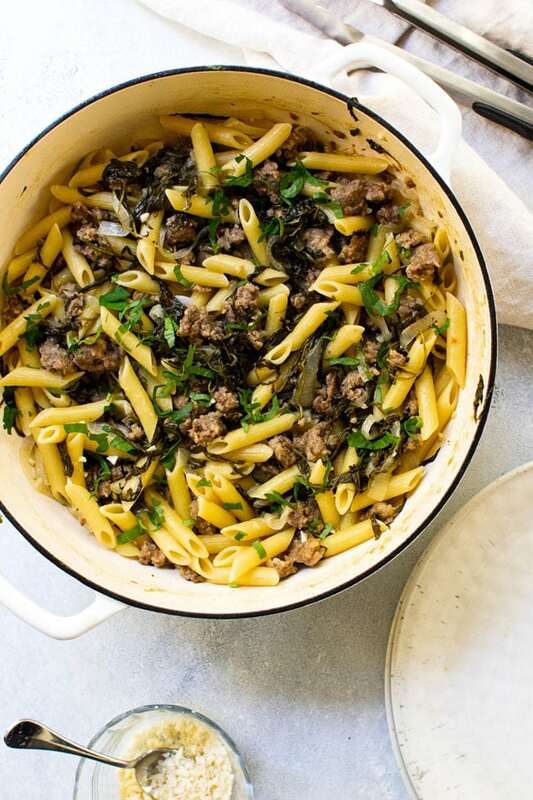 ONE POT PENNE WITH SAUSAGE AND ARUGULA – Girl Gone Gourmet |A light and easy dinner idea that cooks up in one pan in less than 45 minutes! This one-pot penne with sausage and arugula with white wine is full of fresh flavor and won’t leave you with a pile of dishes in the sink. 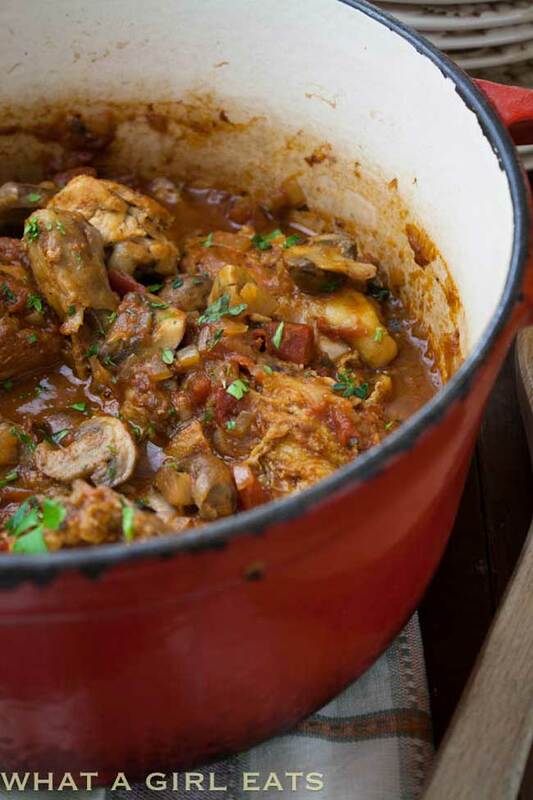 CHICKEN CHASSEUR – What a Girl Eats | Chicken Chasseur, or Hunter’s Chicken, is pure comfort food especially if you serve it with creamy mashed potatoes on the side. You might think this is an all-day kind of recipe, but the chicken cooks in about an hour – perfect for a cozy Sunday supper. 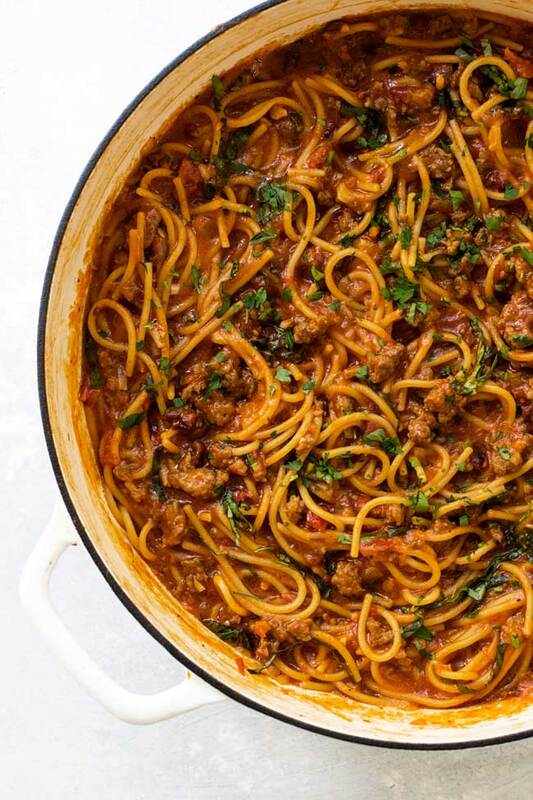 ONE-PAN SPAGHETTI BOLOGNESE WITH SUNDRIED TOMATOES – Girl Gone Gourmet | Spaghetti bolognese goes from a weekend kitchen project to weeknight go-to dinner thanks to a few key shortcuts that help get dinner on the table in less than an hour. Italian sausage and ground beef cook together in a simple short-cut sauce brightened with a pop of sun-dried tomatoes and fresh herbs. It’s hearty and comforting with minimal clean-up. 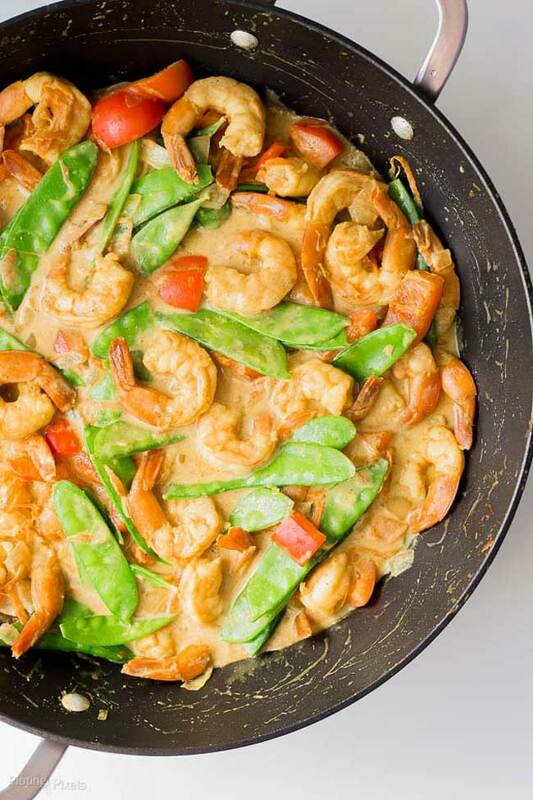 COCONUT CURRY SHRIMP – Plating Pixels | This lightened-up shrimp curry is a great way to get a lot of good-for-you veggies and tender juicy shrimp in about 30 minutes using just one pan. 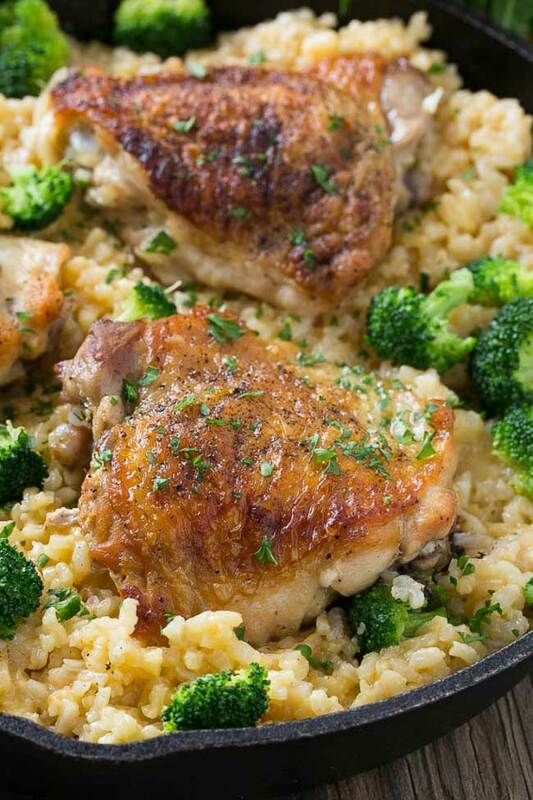 CHICKEN WITH CHEDDAR BROCCOLI RICE – Dinner at the Zoo | There are chicken and rice dinners that require two pans and then there’s THIS chicken and rice dinner with crispy-skinned chicken thighs on a bed of cheesy cheddar broccoli rice. And, yes, you only need one skillet. Thanks so much for including my gnocchi! I love one pan dinners… they’re such a weeknight lifesaver. Sharing! Pinned! Loving this super tasty one pot round up – thank you! Love one pot meals! 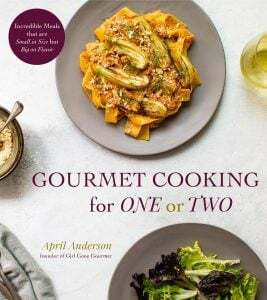 Thanks for including me in this great collection of tasty dishes!